The Hyper Tour 38 Rucksack pushes the limits of lightweight pack design. 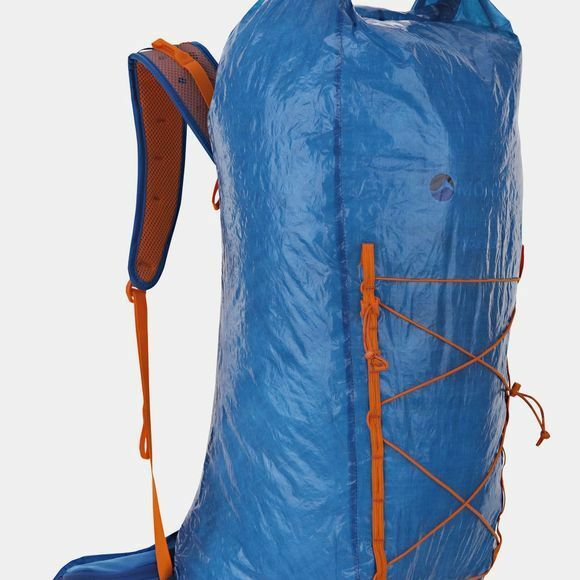 Constructed in the extremely lightweight but exceptionally strong Cuben Fiber fabric and with its simple, functional features this pack is a must for the ultra minimalist weight conscious fast packing activist. Engineered to be a lightweight, multi-day mountain pack. 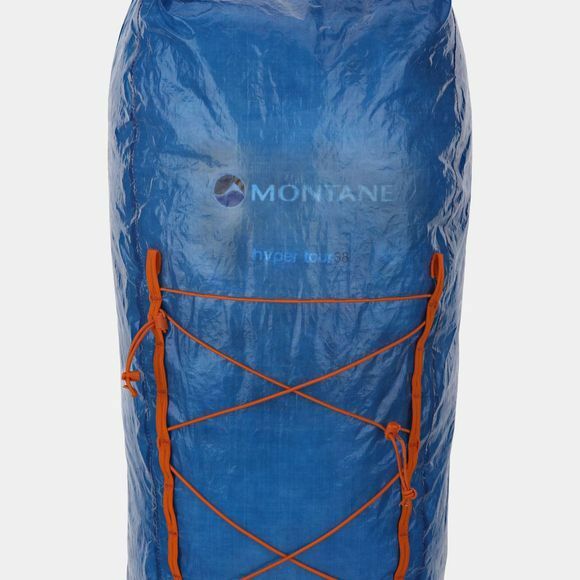 Montane's unique design features a roll-top closure for fast access to gear with additional lightweight external storage capacity. The stripped down version of the Comfort Vent Back Pad and integrated Alpine Mat offers superb comfort while not compromising the Hyper Tour's ultra lightweight focus. Fully taped for weather protection, the Hyper Tour is perfect for anyone looking to save every gram possible in their kit.